Passfaster Driving School: Are robots better motorists than HUMANS? The cars of the future will probably drive themselves and make superior motorists, claim scientists. A study has concluded that as robots do not drink-drive, get distracted, fall asleep or tailgate in a rage, they would make safer and more efficient drivers than humans. It also predicted that autonomous vehicles could significantly reduce congestion and provide tens of billions of dollars in economic benefits. Electric car company Tesla Motors will produce a driverless within the next three years, according to its chief executive, Elon Musk. 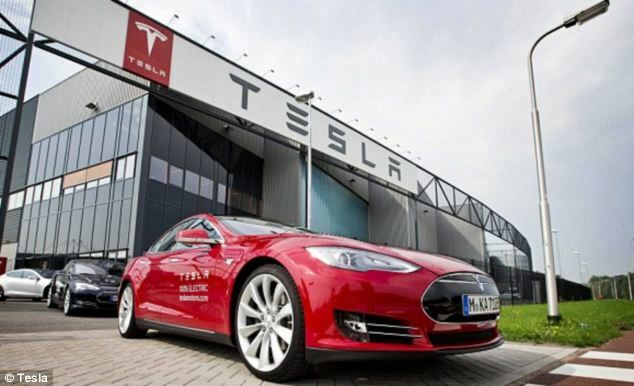 The move will see Tesla overtake Google, who three years ago began the race to bring driverless cars on to the road. Google’s programme, however, has been slow to get off the ground because carmakers are worried about potential liabilities from accidents. California-based Tesla said its autonomous car would allow the driver to hand 90 per cent of the control of the car over to the vehicle's computer system. 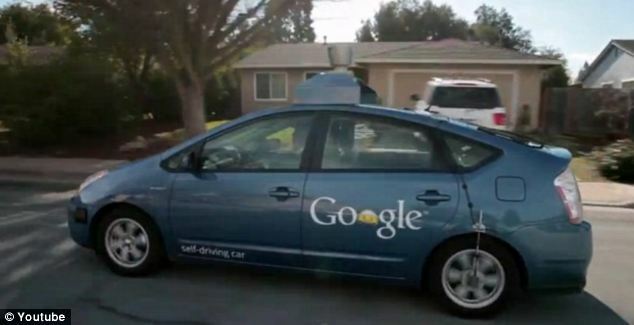 However, significant hurdles to widespread use of self-driving cars remain - not least the cost of the hi-tech vehicles. Added sensors, software, engineering, power and computing requirements currently add up to over $100,000 (£62,000) per vehicle, which is unaffordable for most people, the study said. But large-scale production 'promises greater affordability over time,' it concluded. Questions also remain about public acceptance, liability in event of an accident, and the ability of automakers to prevent car computers from being hacked. Nevertheless, the advantages of self-driving cars are such that if only 10 per cent of cars and lorries on the road were self-driving, they could reduce traffic deaths by 1,000 per year. The report, by the Eno Centre for Transportation in Washington DC, also said autonomous cars could produce nearly $38 billion (£23 billion) in economic savings. 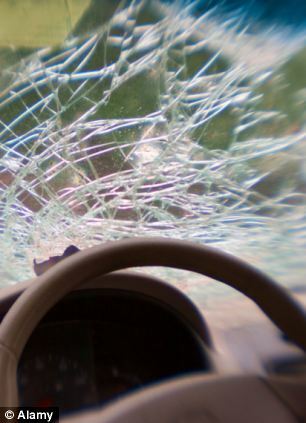 Over 40 per cent of fatal traffic crashes involve alcohol, distraction, drugs or fatigue, but self-driven vehicles wouldn't fall prey to such human failings, suggesting the potential for at least a 40 per cent reduction in fatal crashes, the study said. If 90 per cent of vehicles were self-driving, as many as 21,700 lives per year could be saved and economic benefits could reach a staggering $447 billion, (£276 billion) said the study. 'There will be many steps before we get to that, but it does feel like there is a whole new world that completely changes everything in terms of our perspective on driving that could emerge eventually,' said Joshua Schank, president and chief executive of the centre. For example, the passenger seat could be converted so that former drivers could safely work on laptops, eat meals, read books, watch films and call friends. Cars that could be programmed to pick up people, drive them to their destination and then park by themselves, may change the lives of the elderly and disabled by providing critical mobility, according to the centre. Once a critical mass of self-driving cars is on the road, they can start 'platooning' - driving closely together but keeping a steady distance between each other without the fuel-burning, time-wasting, stop-and-go typical of traffic congestion. The report said that this behaviour could smooth traffic flows, reduce commute times and increase highway capacity. 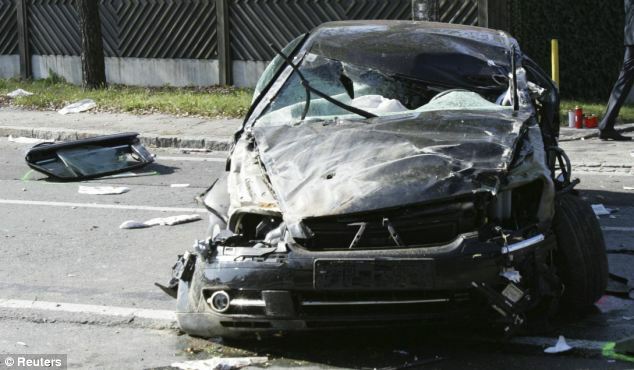 U.S. government research indicates driver error is likely the main reason behind over 90 per cent of all crashes. Crashes can also be due to speeding, aggressive driving, over-compensation, inexperience, slow reaction times, inattention and various other human driver shortcomings, the report noted, suggesting that computers could also reduce those too. Spurred by what some see as the future direction of the auto industry, car manufacturers are stepping up their research. General Motor and Nissan are furthest along, but Audi, BMW, Ford, Mercedes-Benz, Toyota, Volkswagen, and Volvo have also begun testing driverless systems and Google's self-driving cars have clocked over 400,000 miles on California public roads. Many of the features that go into creating a self-driving car are already available, especially in high-end cars. Adaptive cruise control adjusts speed faster or slower in response to traffic, while lane departure systems warn drivers when they're drifting out of their lane and some can even automatically steer the car back. Collision avoidance systems automatically brake to prevent front-to-rear crashes and parking assist systems range from rear view cameras that show drivers what is behind them to vehicles that can actually park themselves. The hardest part will likely be making self-driving cars 'cost effective to the point where this is not just a gadget that some people enjoy, but becomes mainstream,' Mr Schank said. Some anti-collision system should be installed in all the cars so that when it senses that a major accident is about to happen it takes the control in its hand and apply the brakes and street the car in the best way possible.